Let the answering of questions begin! …which he follows with a mention of the never-released follow-up to the as-yet-unfinished comics classic All Star Batman and Robin the Boy Wonder by Frank “The Spirit” Miller and Jim “Put a Collar on Everybody” Lee. Now, I’d meant to bring home my copy of the Überstraße comical book pricing guide for research purposes, but dumb ol’ me left it sitting on the front counter at work, so what’cha gonna do. So, I’m going to depend on online databases like the Grand Comics Database for my info here. For the purposes of argument, let’s just consider series that did have a follow-up issue after an extended pause in publication (which would leave out something like that All Star Batman follow-up, which is more theoretical at this point anyway, not to mention technically being a separate mini-series aside from the original). The first thing that comes to mind is of course Ultimate Wolverine Vs. Hulk , a six part mini-series that had a three-year gap right in the middle there. That’s one of the more obnoxious examples of this sort of thing. However, there’s an even longer gap from another Marvel title: the 1990s Ghost Rider series, which ended at #93 in 1998 even though an issue #94 had been intended to wrap up the series, sales (and orders!) just didn’t warrant the expense to publish it! Eventually, Marvel did publish #94 as an extra-sized special in 2007, 9 years later, which included a reprint of #93 as well as the heretofore unpublished #94, finally bringing closure to that run. Then I suppose there’s the legendary underground comic Zap Comix , which published #15 of its run in 2005, and #16 (the final issue, supposedly) in 2016. I mean, this is slightly different from the other examples, in that its not a serialized story that was suddenly interrupted, keeping everyone in suspense until the shocking conclusion was released. …I mean, I suppose once you start looking into undergrounds, there may be all kinds of long publication gaps between issues like this. That’s a whole ‘nother ball of research. Then there are circumstances like this one, where a Buck Rogers #1 was released in 1964, and then 15 years later, in 1979, when the title was revived due to the TV series, the comic continued with an issue #2. I feel for the Buck Rogers fan who picked up #2 on the stands and lamented that he just missed the first issue, surely containing a prequel to the television show. I guess I’d be remiss if I didn’t mention Miracleman , which doesn’t quite fit the criteria I established above in that it hasn’t yet had the follow-up to its final issue in 1993, and the continuation would have had a newly numbered series anyway. But Marvel came close, coming within a couple of issues in its recent reprint series to finally getting to the promised new material. Had that come out when expected, that would have been a 23 year gap. And though it wouldn’t have had “#25” on the cover, it would have been “The Silver Age” Part 3, so maybe we can consider that the numbering system that was so cruelly interrupted. It’s all a moot point anyway, since those new Miracleman stories don’t appear to be arriving anytime soon, and frankly I’m surprised Marvel hasn’t thrown some version of Marvelman into the Avengers or whatever, and try to recoup whatever money and resources they put into acquiring the character. Oh, and I just remembered Amazing Fantasy , which had a somewhat famous issue #15 in 1962, followed by #16, #17 and #18 in 1995. Plus, there were all those Blackest Night books that purported to be the next issue after each series’ last issue (like Atom and Hawkman , ending with #45 in 1968, getting a new one-shot event tie-in special #46 in 2010). I’m not sure I’d count these specific cases as “interrupted series runs” as clearly these next issues weren’t part of the plan when the original series were canned. Well, that’s certainly a lot of typing. Paul, these are the best examples I can think of off the top of my head. I haven’t yet looked into the Disney conics, as I’m pretty sure here there are some lengthy publication gaps, particularly in the 1970s. Admittedly I got a bit off track near the end there, so if anyone can think of any series with lengthy publication gaps that retain their actual numbering, and clearly were meant to continue on but got horribly delayed (as opposed to my examples where a series definitely had its ending, but then had follow-up issues that continued the numbering), just let me know. Good thing there wasn’t a Swamp Thing one, else I’d be traveling across the country looking for it. 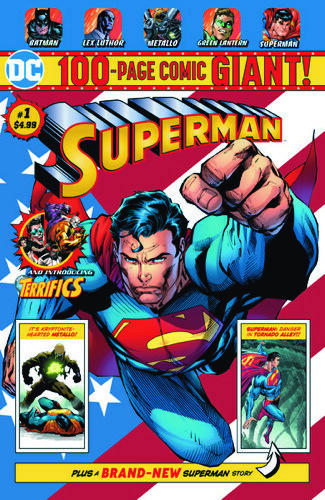 So I’ve been trying to track down copies of those Walmart-exclusive DC digests, mostly to have just at least one sample copy I can look at and discuss here on the site, before passing it on to a niece or nephew. Like, I wanted to know the actual dimensions of the thing, its readability at that size (likely extra problematic for me, Mr. Gots Eye Troubles), the paper quality, the story selection, etc. And as it turns out…no dice at two of the Walmarts in my immediate area. Not that I found the DC Digest display bereft of copies, sitting on a shelf somewhere…I couldn’t find any sign that there were any on display at all. Now, given the, um, state of said local Walmarts, “not finding something” could be said to be the default result of any product search, and it could very well be that they were there, somewhere, diplayed in plain view in a disused lavatory with a sign that read “BEWARE OF THE LEOPARD” Douglas Adams-style, but I checked all the usual spots and didn’t find a thing. So, let us hope that this was a case of the comics finding their target audience (i.e. not me, Elderly Comics Guy) and the empty displays were removed to make room for economy-sized tins of mixed nuts, and not, as was suggested by some Twitter pals, disappeared into the hands of speculators, a possibility I honestly hadn’t considered but…well, yeah, that could’ve happened. I mean, it’s just as well…these digests are not for me, but to get kids to try out comics. Despite my near-despotic command over comic sales in my area (via my foreboding Camarillo headquarters at Sterling Silver Comics) I realized not every young’un will come through my doors to discover the sublime delights of Swamp Thing and…well, pretty much just that, but kids like comics and if you get them into their hands, they more often than not will devour them. I mean, read them, but get ’em young enough they may very well eat them…it’s just paper, they should be okay. So yes, I’m very much for the idea of getting comics into the hands of new readers via publishing initiatives such as this one. I have zero idea if it’s actually happening around here, since I don’t know if our local Marts of Wals even had ’em, but they’re out there somewhere, presumably getting into young people’s hands and not just being mailed off to Comic Slabbers, Inc. to get graded and traded. I heard about some comics collectin’ and retailin’ folks getting bent out of shape over these things even existing, for some reason. I mean, yes, there are new stories mixed in with the reprints, but, c’mon, it’s not like DC is going to sit on that Brian Michael Bendis Batman story…that’ll be a trade or a mini-series or something down the line. 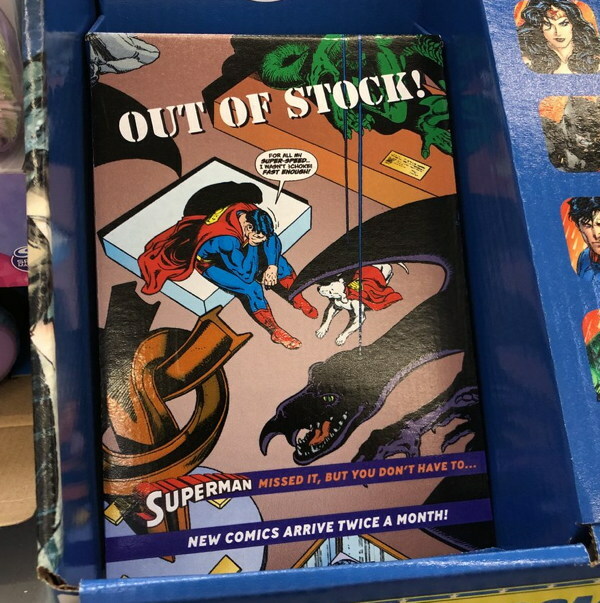 Or it could just be “there’s something out there I can’t have!” — how dare there be a Collectible Issue #1 of Something we can’t order through our shops. (‘Course, if it were, then we’d hear “$4.99 for a new 12 page story and a bunch of reprints? BAH!”) I mean, whatever…the good these could do versus…basically no valid argument against, I think. Get kids used to the idea of reading comics…that’s a net gain for the industry as a whole! 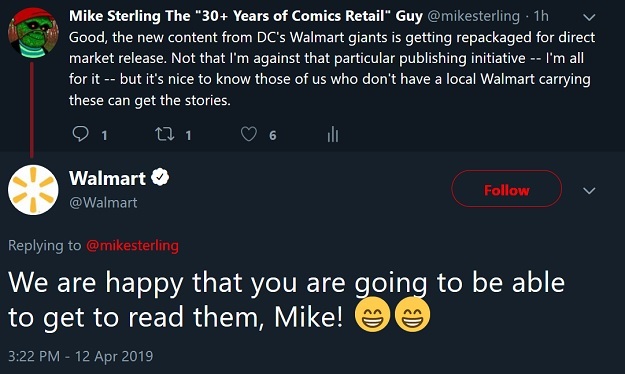 And it’s not like Walmart’s going to “steal” your customers, since most of those kids weren’t going to your shop anyway, but now, maybe, if they decide they want more comics, maybe they’ll seek you out. You never know. And besides, just given my personal experience seeking them out, it’s not like you’re going to find well-curated permanent comic racks in these shops directly competing with you. 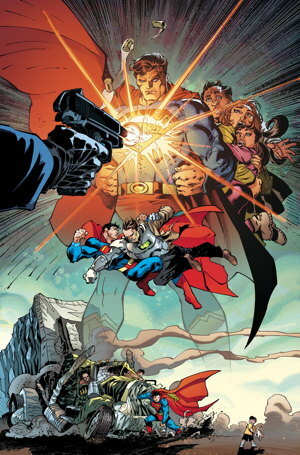 Going back to that DC Comics release, i can see a lot of the actual contents of the initial digest wave right there, and it looks like a pretty solid mix of recent-ish stories. Now, the old ’80s DC Comics digest fan in me was kinda sorta hoping for some Silver Age-y or even Bronze Age-ish reprints, but I realize those may come across as a little old fashioned. But man, at the very least I hope they drop some Neal Adams Batman stories into some of these digests, just to blow some kids’ minds. Here’s that Shirtless Batman fighting Ra’s al Ghul you’ve been waiting all six years of your life to read, Little Billy! Anyway, these digests are fine in theory (assuming others have better luck than me finding them). If it gets some kids to realize that, oh, hey, these just aren’t movie characters, they came from somewhere…good. I hope whoever got their hands on these reads the hell out of them, leaving it with tattered covers and bent pages and happily awaiting even more. “For all my super-speed I wasn’t (choke) fast enough!” …Me neither, Superman — me neither. Someone remind me to make an MST3K category for my site. Okay, I was planning on this being a two-post week, but I find myself having to report on the only big comic news to come out in the last few days. 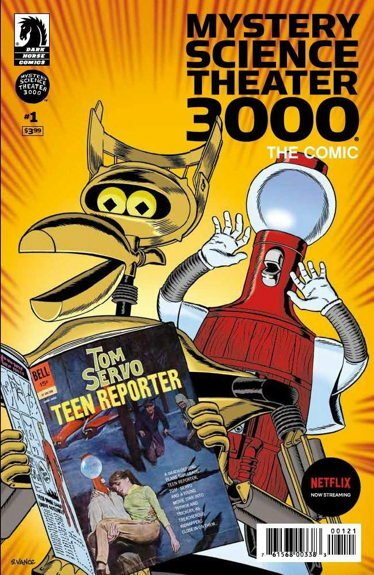 I am, of course, talking about the reveal of the covers for the first issue of Dark Horse’s Mystery Science Theater 3000 series. I have no idea what ratio that variant will be available in…1 in 10? 1 in 100? 1 in 1000? Well, I hope my customers are ready for 1,000 copies of the MST3K comic, because I’m gonna need both versions. Anyway, read more about it at this article here. As I assumed back in ye olden tymes, the comics will indeed be the Satellite of Love crew riffing over old comics (as was the original plan waaaaay back even farther when Acclaim Comics intended to do their own MST funnybooks). 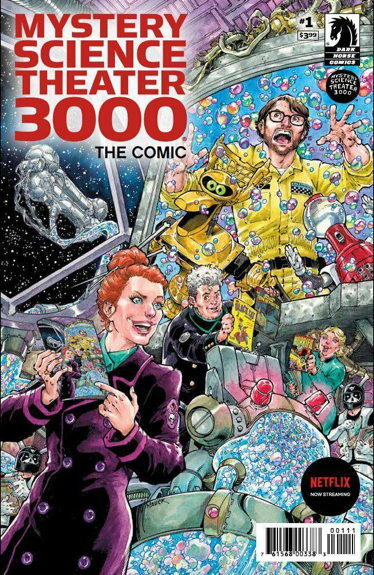 I’ve been waiting for a MST3K comic book for a very long time, and I’m very glad it’s almost here. Oh, and I guess there’s some big to-do about Vertigo this week as well. I mean, in much less important news. 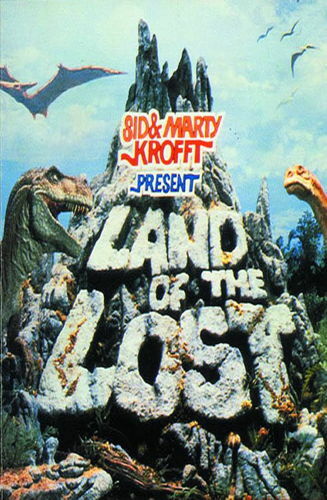 Any reason at all to talk about Land of the Lost . 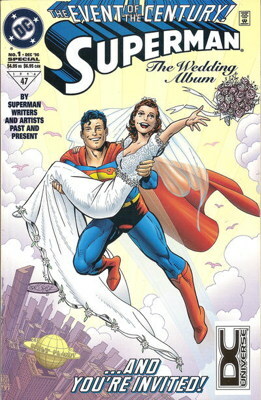 ..so it seemed like it was a safe bet this would have been the TV show version of the concept. Now, it never did come out…Diamond has it marked as “CANCELLED” in big red letters, and why exactly it was canned I’m not entirely sure. I’ve always assumed it was because the Big Budget Movie whose coattails the comic’s publishers had hoped to ride, based on that solicitation text, turned out to be a bust. Or maybe it was more complex behind-the-scenes licensing shenanigans, or creative issues, or…I haven’t a clue. But it’s a shame…I’d still love to see a Land of the Lost comic of some kind. The Ferrell movie seems mostly forgotten by now, so a new comic book series wouldn’t have that particular shadow cast over it, I’d think. And there was enough weird world-building elements and hints in at least the first couple of seasons of the TV show that I would love to see some of the original writers for the program participate in this proposed comic book series and maybe put some of those pieces together. Um, y’know, while they’re…uh, still around. And you know what? Why wadn’t there ever a comic book with a sound ship? You open the cover of, say, Justice League International , and there’s Blue Beetle doing the “BWA-HA-HA!” laugh. Or open a Shazam! comic to a crack of thunder. Or…well, there’s plenty of possibilities. Now, as a retailer, I would eventually be driven to murder after listening to these repeatedly play several hours each day, but “practicality” and “the sanity of comic shop owners” rarely enter the discussion when planning gimmicks like these. However, to the best of my knowledge, even during the 1990s cover gimmick heyday, the comic book sound ship threshold was never breached. If someone knows differently, I’d like to hear about it. There are probably production and cost reasons it didn’t happen, I’m sure, but I’m still a little surprised. Plus, those batteries don’t last forever…I’ve got a Star Wars sound-chipped birthday card which plays a very sadly worn-down and depressing rendition of the theme at this point. I know relatively recently we’ve had the “talking comics” from the current iteration of Valiant, where you’d hold your smartphone in front of a character’s face on the cover, and software internet magic would happen the character would “talk,” but that’s not exactly what I’m talking about. So basically what I’m asking for here is a new, ongoing Land of the Lost comic which has an embedded sound chip that gives you either banjo music, Grumpy’s roar, or a Sleestak hiss whenever you open the cover. So long as it’s not this terrible, terrible sound from the show that’s always creeped me out.